Had put in the wanted section by mistake. 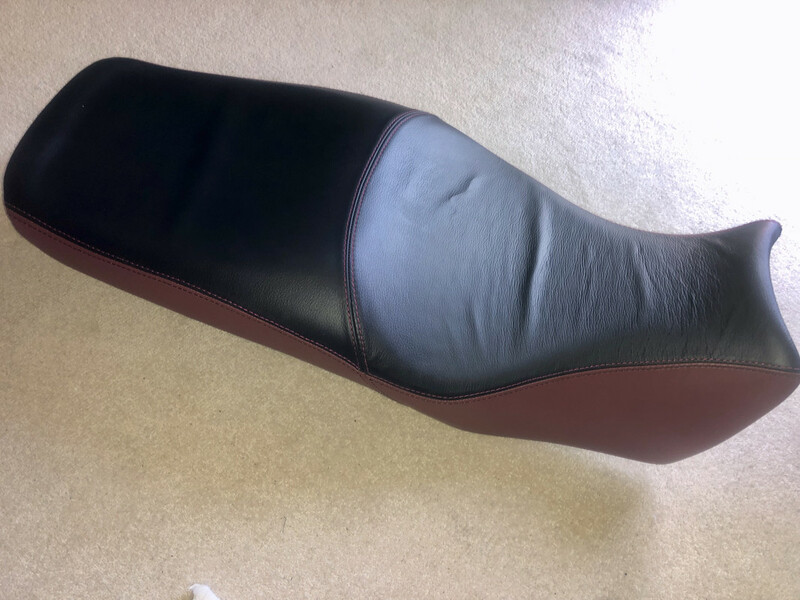 Leather two tone seat. Standard height. VGC. Black and maroon. £85. No rubbers under seat. Used for my Touratech seat. Re: 3 Seats for sale. 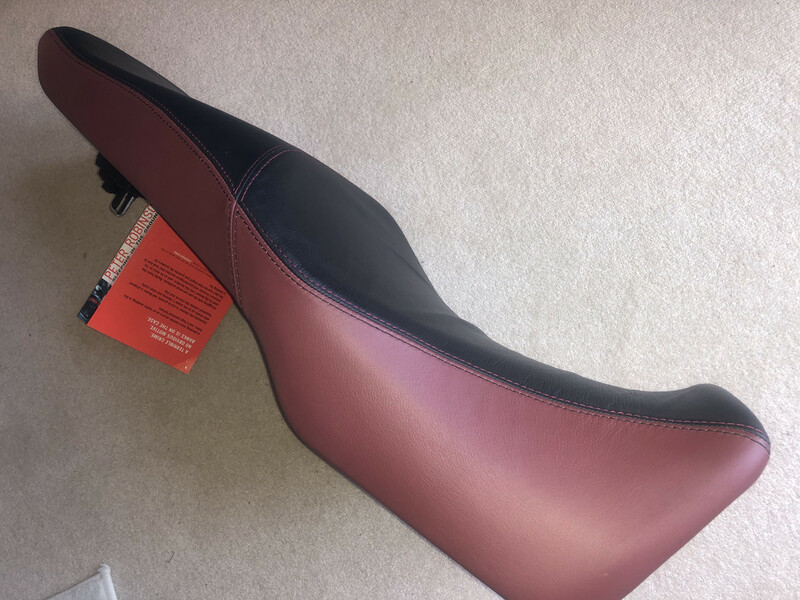 This is the leather seat. Don't know if it's just me, but there don't appear to be any pics in your above post. Must be work blocking them - they show OK on my phone too.